Love To Eat Right: EAPNS: Are you a runner? EAPNS: Are you a runner? Is YES your final answer? Good, you should continue reading this blog. Not sure if it is the same for you, but I don't remember being sore from running when I was a teenager, maybe I was simply in better shape :). These days I find myself with heavy legs after a long run or a track workout. Tart cherry juice has helped me to reduce the post run pain. I know it sounds funny, but what is so special about tart cherry juice? 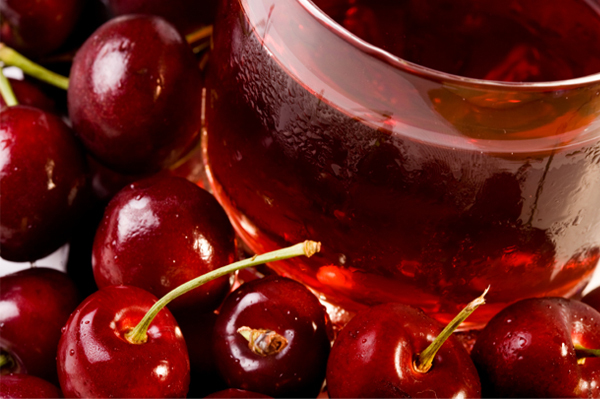 Cherry juice has natural anti-inflammatory powers, which are also giving the cherry the bright red and pretty color. Cherry juice can be purchased as a concentrate. I have been taking 1-2 table spoons, added to a 12 oz glass of water after a run or other activities. Some sites refer to taking the juice 2x a day. You can obviously play with the amount you are taking. You can find several different research studies providing more scientific information regarding the reduced acidic levels measured in athletes taking the juice vs. placebos after a marathon or other running events. Good post...I have been drinking the tart cherry juice after every run and the cherry works great, but it gives me terrible gas. I talked with my trainer and she suggested the Fruit Advantage cherry capsules instead. After a week on the capsules, no more gas and no muscle soreness. I am training for my first marathon and the cherries are in my bag every day.